Available in a range of bright and stylish colours, the Morphy Richards Prism range is a great way to add a splash of colour to any kitchen or home. 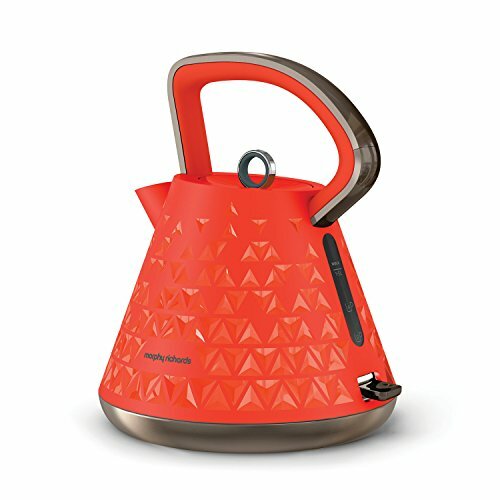 The Prism 1.5 litre kettle not only looks good but is also very functional with many buyers very happy with its high quality design, you can take a look in the next tab to see what other buyers are saying about this highly rated orange kettle which can also be paired up with the Prism 4 slice toaster in the same colour giving you a pair of stylish and colourful kitchen appliances to add to your kitchen. 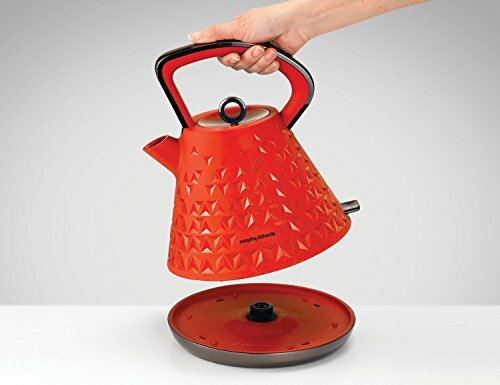 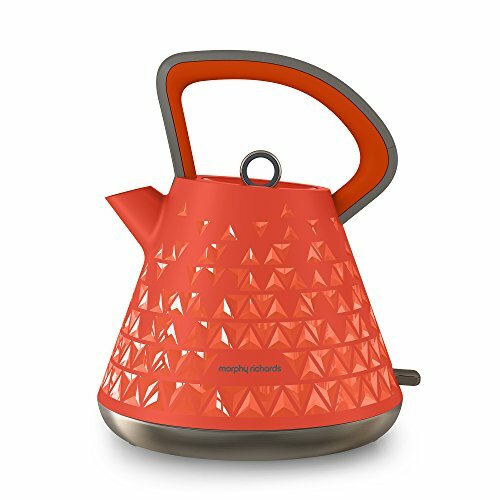 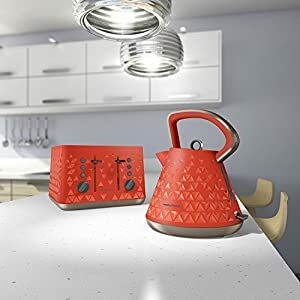 The orange kettle from the Morphy Richards Prism range features a stylish and eye catching dual texture finish with an indented prism pattern that really makes it stand out from the majority of kitchen appliances currently available. 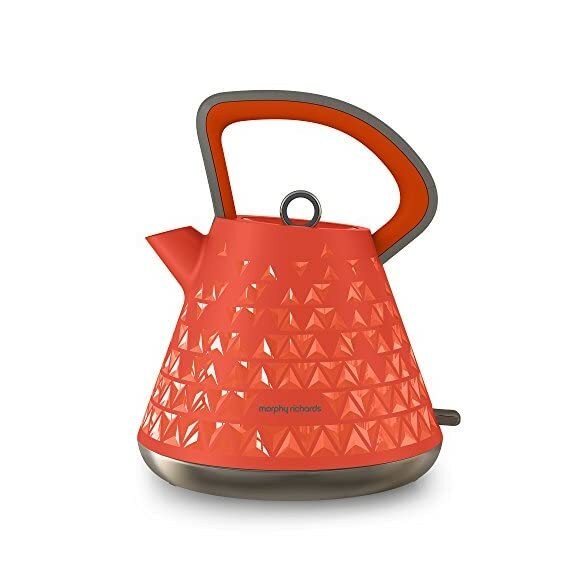 The Prism kettle has a large 1.5 litre capacity allowing it to make up to 6 drinks at a time and the 3 kw rapid boil concealed element ensures that the kettle boils quickly and efficiently. 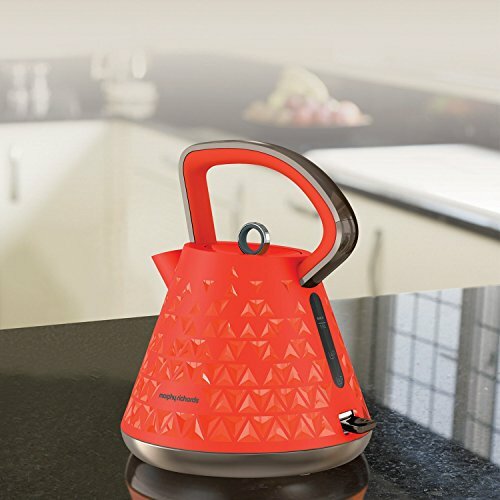 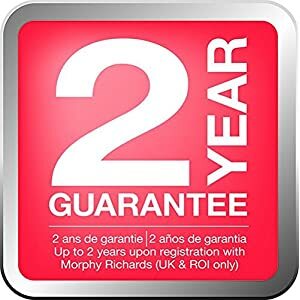 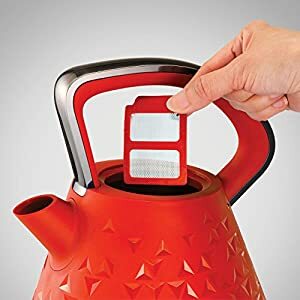 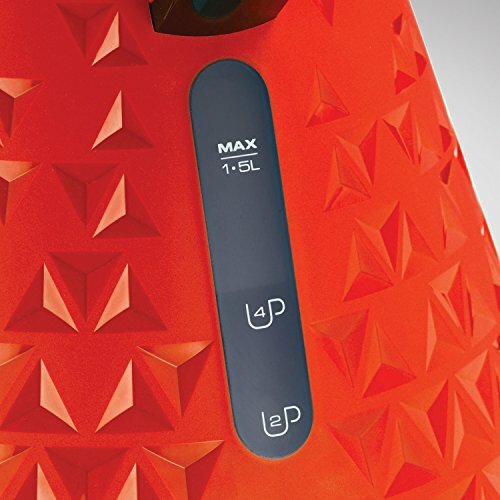 The Morphy Richards Prism kettle range feature removable limescale filters so you can always enjoy your hot drink limescale free and the easy to read water window allows you to see how much water is inside of the kettle so you will never overfill it. 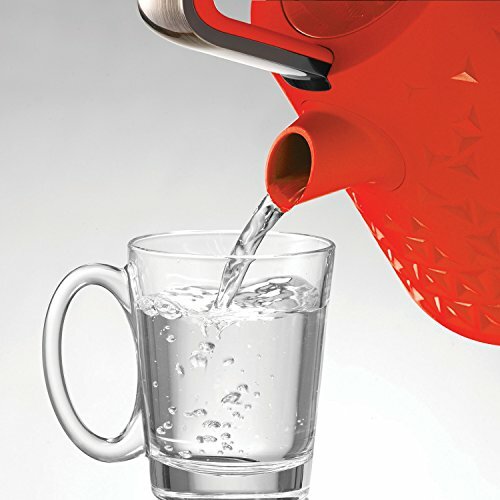 Additionally the Prism kettle is ideal for left and right handed users thanks to the 360 degree base. 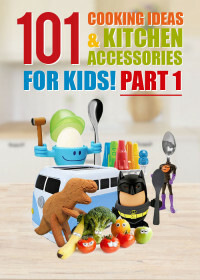 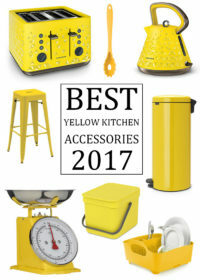 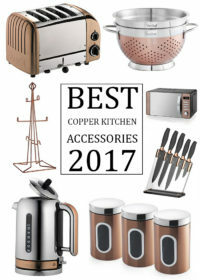 As with the toasters available in the Prism range the prism kettle has received some very positive reviews by those who have bought it, to read some of the reviews have a look in the next tab or visit the retailer if you would like to check the price of the kettle and toaster when bought in a combo set.